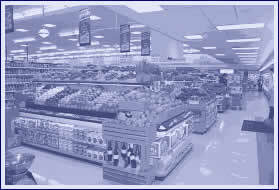 MC Store Fixtures/Equipment, Co. is a respected supermarket auction and appraisal services company. Between owner Marvin and brother Marshall, MC has over 42 years of combined experience in supermarket auctioneering and the store fixture and refrigeration equipment industry. MC specializes in the remanufacturing of refrigeration equipment and the auctioneering of supermarkets and restaurants. We are known for our integrity and honesty in serving our clients. This is evidenced by our client satisfaction and our growth is fueled by word-of-mouth referrals. MC runs a full service auction. We prepare the site, auction the site, monitor the removal of auctioned equipment, and leave the site broom swept, ready for renting. We shoulder the burden of asset disposition for our clients. MC provides the buyer with quality used or remanufactured equipment and store fixtures within the structure of a public auction or from our warehouse at an affordable value. MC can also order new equipment and fixtures from the distributors for our clients.